Protect against skin darkening. Lighten dark skin tone. Help clear skin dark spots. 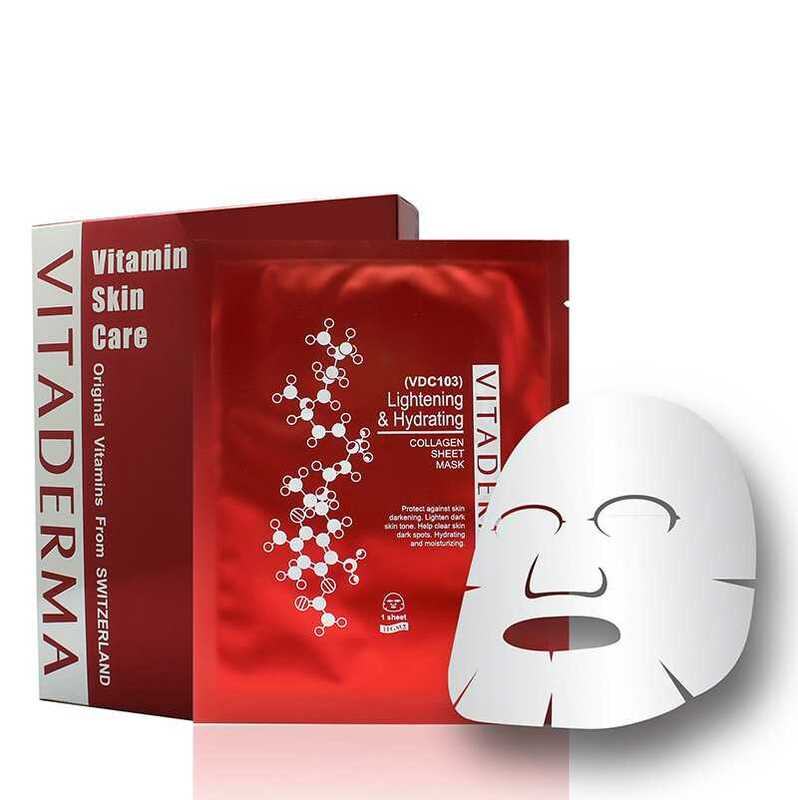 Hydrating and moisturizing..
SKU: VIT-VDC013A Categories: Beauty, Hydration & Moisturising, Mask, Whitening Brands: Vitaderma. ‘ rotect against skin darkening. Lighten dark skin tone. Help clear skin dark spots. Hydrating and moisturizing. Arctostaphylos Uva Ursi (Bearberry) Leaf Extract, Glycyrrhiza Glabra (Licorice) Root Extract, Citric Acid, Ascorbic Acid (Vitamin C), Marine Collagen. After cleansing, gently place the sheet mask over entire face for 30min – 4hrs.